Compensation was provided via MomTrends. The opinions expressed herein are those of the author and are not indicative of the opinions of See’s Candies or MomTrends. 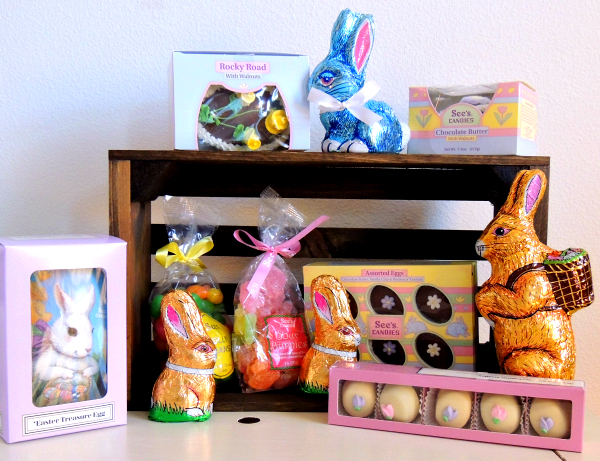 Easter is in March this year, so don’t let it sneak up on you! I always look forward to decorating for holidays. 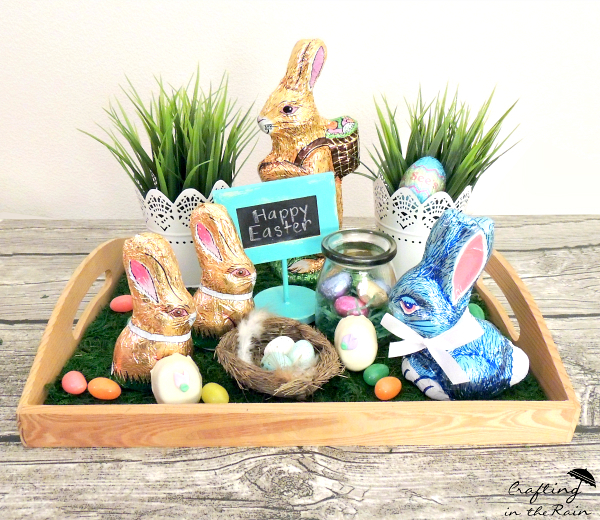 I’m going to show you how to built a really easy and really cute centerpiece that would look great at your Easter dinner, or as decor starting today. 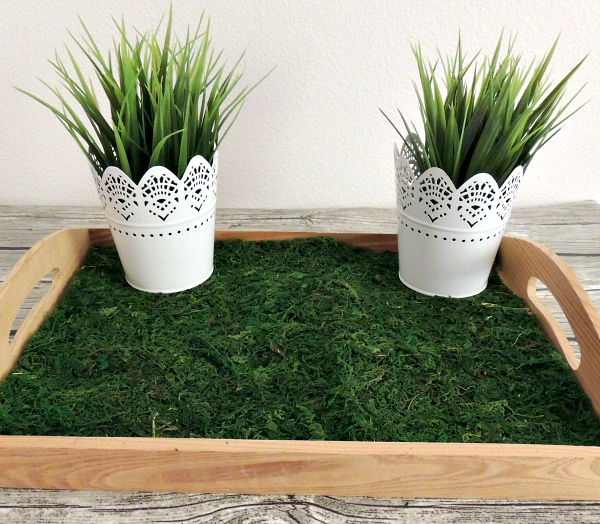 Start with a plain tray and add a piece of sheet moss to fit. Then add any more greenery you like. 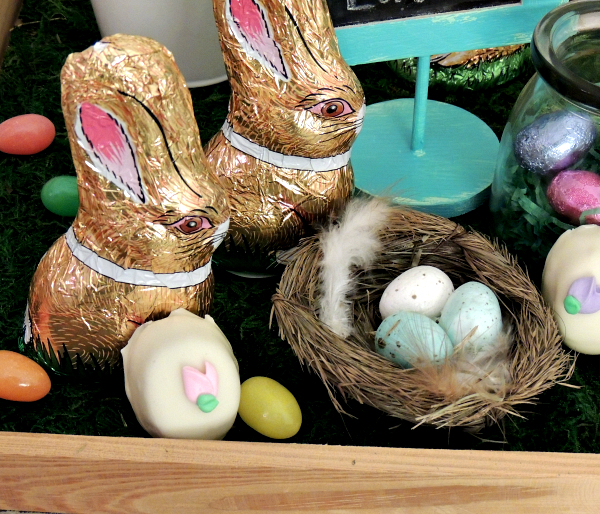 Then choose some See’s chocolate bunnies in different sizes to place around the tray. The tall one woks best in the back to add more height. 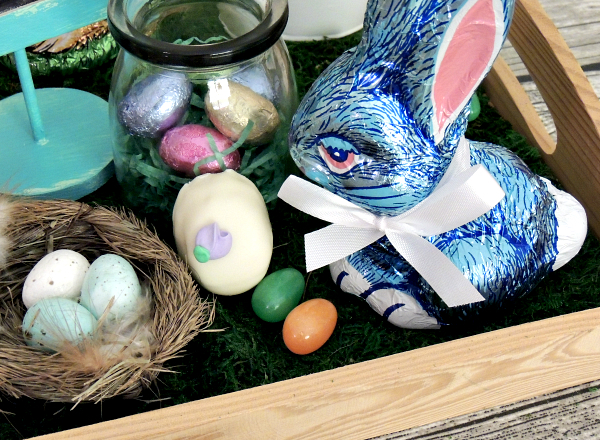 jelly beans spread around, and an Easter sign. 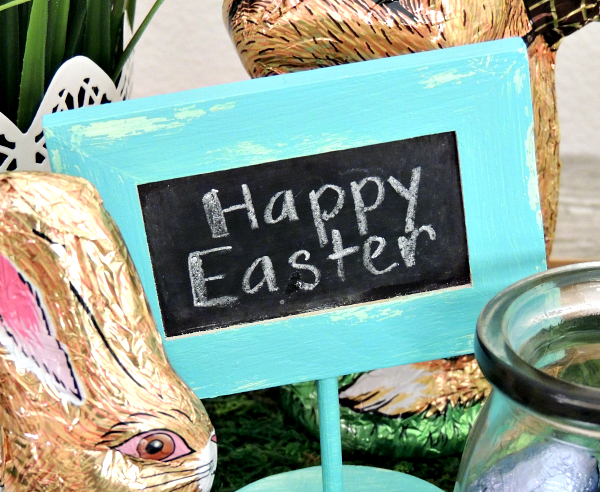 I made this one by painting a small chalkboard on a stand a light blue color. Then put a little Vaseline on the corners and painted it with a darker blue. Then the paint can be rubbed off to reveal the lighter blue underneath. It just added one more pop of color to my centerpiece. So do you think you’ll make one too? Stop by any of the 200 retail shops across the country (and be sure to pick up a free sample) or you can order online as well, to get all your favorite See’s Candies flavors and hand-decorated seasonal treats. I love this Steph! The street moss with the bunnies looks really good. It looks like a cute lil bunny family! This is SO cute! 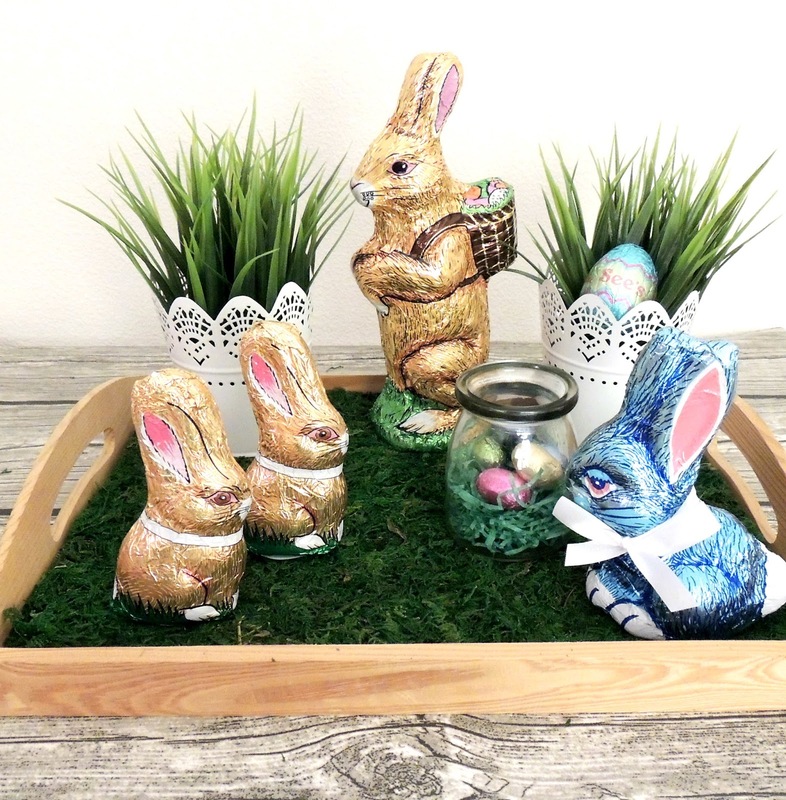 I love the chocolate bunny family! So cute!!! See's is always my favorite- my mom would always make sure I had some for every occasion. I don't get it quite as often now- so it's extra special when I do.